Non-judgemental, encouraging, hope giving, honest conversations. Prisoners often feel extremely lonely and isolated, and many have lost touch with their family and friends on the outside. A letter might be the only communication a prisoner receives and can provide huge encouragement and a link to the outside world. Our letter writing programme enables prisoners to feel valued and supported while in custody. 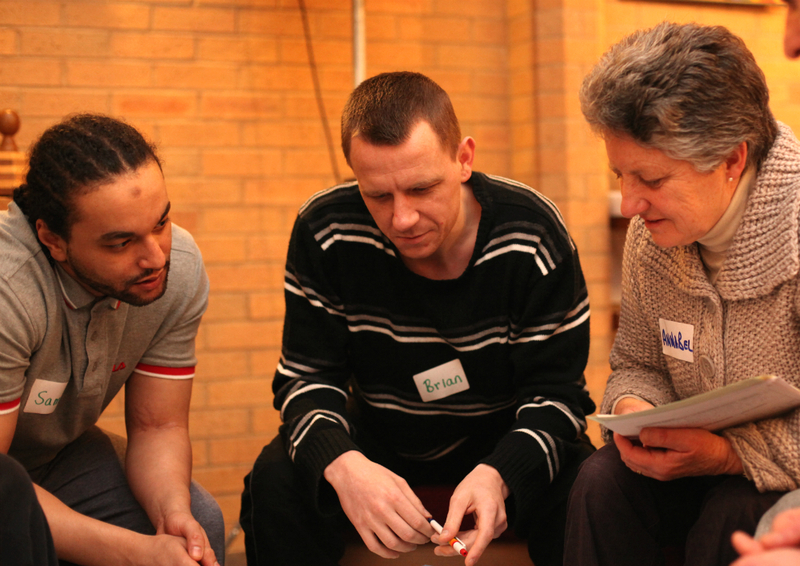 Our Letter Link programme is a great way for people who care about prison ministry but are limited by their availability, mobility or location, to get involved. We ask you to commit to writing one letter a month as a minimum. Some connections may last six months – some six years! If you are interested, you need to first apply to be a PF Volunteer. Once you are approved, we will let you know when the next available Letter Link training is being held. This compulsory two-hour training covers everything you need to be aware of as you begin writing. If you pass the training, we will connect you with a man or woman in prison, and you can start writing! All letters are sent through the Prison Fellowship office and are regularly checked by the Programme Administrator for security reasons. Yes, there are costs to sending a letter! We provide freepost envelopes to all our volunteer letter writers if they need them, and we also incur the ongoing cost of running regular training programmes, and security-checking the letters. Our letter writers are committed volunteers, who have a unique and powerful means of supporting and journeying alongside a man or woman in prison, for as long as it is needed. Your donation to Prison Fellowship enables us to keep running this wonderful ministry! When I was down and thought of taking my own life, it was the letters of encouragement that kept me strong. Our volunteers are actively supporting prisoners every single day. Join them and see lives being changed.